Instantly downloadable sheet music by Joel Raney for choir and piano (SATB) of MEDIUM skill level. Alle Notenausgaben von Listen! zum Herunterladen bei VirtualSheetMusic. Alle Noten von Joel Raney zum Herunterladen bei VirtualSheetMusic. Instantly downloadable sheet music by Brendan Graham for choir and piano (SATB) of MEDIUM skill level. Alle Notenausgaben von Winter, Fire And Snow zum Herunterladen bei VirtualSheetMusic. Instantly downloadable sheet music by Adam Anders for choir and piano (SSA) of MEDIUM skill level. Victor Johnson – Arise, Shine! Instantly downloadable sheet music by Victor Johnson for choir and piano (SATB) of MEDIUM skill level. Alle Notenausgaben von Arise, Shine! zum Herunterladen bei VirtualSheetMusic. Alle Noten von Victor Johnson zum Herunterladen bei VirtualSheetMusic. Douglas Wagner – Angels Singing, Bells Are Ringing! Instantly downloadable sheet music by Douglas Wagner for choir and piano (SATB) of MEDIUM skill level. Alle Notenausgaben von Angels Singing, Bells Are Ringing! zum Herunterladen bei VirtualSheetMusic. Alle Noten von Douglas Wagner zum Herunterladen bei VirtualSheetMusic. Instantly downloadable sheet music by Deborah Govenor for choir and piano (SATB) of MEDIUM skill level. Alle Notenausgaben von The Bells Of Christmas zum Herunterladen bei VirtualSheetMusic. Alle Noten von Deborah Govenor zum Herunterladen bei VirtualSheetMusic. Instantly downloadable sheet music by Alan Silvestri for choir and piano (SAB) of MEDIUM skill level. 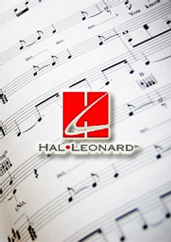 Instantly downloadable sheet music by Jay Landers for choir and piano (SSA) of MEDIUM skill level. Alle Notenausgaben von Home On Christmas Day zum Herunterladen bei VirtualSheetMusic. Alle Noten von Jay Landers zum Herunterladen bei VirtualSheetMusic. Alle Notenausgaben von Brightest And Best zum Herunterladen bei VirtualSheetMusic. Instantly downloadable sheet music by Joseph Beal for choir and piano (SSA) of MEDIUM skill level. Alle Notenausgaben von Jingle-Bell Rock zum Herunterladen bei VirtualSheetMusic. Alle Noten von Joseph Beal zum Herunterladen bei VirtualSheetMusic. Alle Notenausgaben von In Hope We Wait, Emmanuel zum Herunterladen bei VirtualSheetMusic. Douglas Nolan – Would I Miss The Miracle? Instantly downloadable sheet music by Douglas Nolan for choir and piano (SATB) of MEDIUM skill level. Alle Notenausgaben von Would I Miss The Miracle? zum Herunterladen bei VirtualSheetMusic. Alle Noten von Douglas Nolan zum Herunterladen bei VirtualSheetMusic. Instantly downloadable sheet music by Mel Torme for choir and piano (SSA) of MEDIUM skill level. Alle Noten von Mel Torme zum Herunterladen bei VirtualSheetMusic. Instantly downloadable sheet music by Ellie Greenwich for choir and piano (SATB) of MEDIUM skill level. Alle Notenausgaben von Christmas (Baby Please Come Home) (from NBC`s The Sing-Off) zum Herunterladen bei VirtualSheetMusic. Alle Noten von Ellie Greenwich zum Herunterladen bei VirtualSheetMusic. Instantly downloadable sheet music by Tony Springer for choir and piano (SATB) of MEDIUM skill level. Instantly downloadable sheet music by Johann Sebastian Bach for choir and piano (SATB) of MEDIUM skill level. Alle Notenausgaben von O Night Divine zum Herunterladen bei VirtualSheetMusic. Alle Notenausgaben von Sounds Of The Season zum Herunterladen bei VirtualSheetMusic. Instantly downloadable sheet music by Peter Cornelius for choir and piano (SATB) of MEDIUM skill level. Alle Notenausgaben von Three Kings From Persian Lands zum Herunterladen bei VirtualSheetMusic. Alle Noten von Peter Cornelius zum Herunterladen bei VirtualSheetMusic. Alle Notenausgaben von Invocation For Advent zum Herunterladen bei VirtualSheetMusic. Instantly downloadable sheet music by Dan Shea for choir and piano (SATB) of MEDIUM skill level. Instantly downloadable sheet music by Robert Wells for choir and piano (SATB) of MEDIUM skill level.